The election has been over for four months now and the American people have spoken by electing Barack Obama for a second term. End of story? Not quite. There is something about the democratic process of electing a president to run the country that the Republicans don't quite get. The Republicans have decided to say to hell with the American electorate. They have decided that Obama may have been reelected, but they are not going to let him govern. In Obama's first term the Republicans in Congress did everything in their power to assure the President could get nothing done. Even despite this he passed Obamacare, which gave health care to millions of Americans who could not afford it before. This really upset the rich rightwingers who were dead sure Obama would never serve a second term, especially when he ran against the best rich White man the GOP could offer. Well they were wrong. We had to listen to conspiracy theories, birther nonsense and bigoted hateful rhetoric for four years and now the racist Republican Right are at it again. Many Americans actually thought that when Obama soundly defeated the GOP's best hope, Mitt Romney, the Republicans would come to their senses, see the hand writing on the wall and allow the President to govern, for the good of the country. It's only been a little more than a month and the same old bitter, senile white men of the GOP are at it again. Leading the charge is not a knight in shining armor atop a white steed, but the bitter, old washed up sore loser of a candidate Sen. John McCain. Yup he lost to Obama the first time around and instead of blaming Sarah Palin and his own ineptness, he blames Obama and the Democrats. Because Obama won again the Republicans are blaming minorities and immigrants this time around. McCain is on a bitter revengeful attack on Obama, the Democrats and in reality the American people. McCain is leading the fight against the nomination of former Sen. Chuck Hagel for Secretary of Defense. Even though Hagel is a Republican, McCain and other GOP conservative crackpots are trying to derail his nomination. The reason why is because Hagel was not nice to former President Bush in his war on Iraq. Hagel opposed Bush on many points during the Iraq War, as well as he should. Hagel was acting as an American, with the welfare of American soldiers taking precedence over towing the party line. In an interview with the broadcast arm of the GOP, Fox News, McCain told host Neil Cavuto "But to be honest with you, Neil, it goes back to there's a lot of ill will towards Senator Hagel because when he was a Republican, he attacked President Bush mercilessly and say he was the worst President since Herbert Hoover and said the surge was the worst blunder since the Vietnam War, which was nonsense. He was anti-his own party and people don't forget that. You can disagree but if you are disagreeable people don't forget that." In other words McCain opposes Hagel for telling the truth and putting his country before his party. Now McCain is putting forth his own conspiracy theory surrounding the terrorist attack on Benghazi last year. He is accusing Obama of a coverup. I guess he forgot about all of the WMD's and the other blatant lies Bush and his cronies fed the American people so that he could invade Iraq to vindicate his father's mistakes during the first Gulf War. John it is time to retire and sit on your front porch and remember when you really meant something to some people, instead of being remembered as a bitter, senile, old fool who puts party before country. 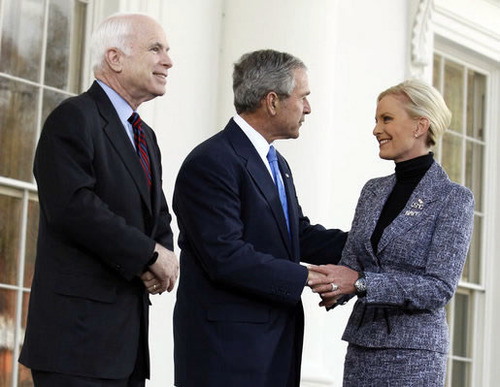 Beside McCain, another out of touch has been has put his two cents in. 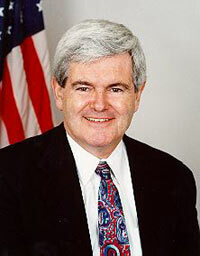 Good old irrelevant Newt Gingrich has joined the attack on Obama. In an interview on ABC's This Week on Sunday, Gingrich said that "Republicans are likely to oppose any immigration reform proposal introduced by President Obama because they personally dislike the Commander-in-Chief." At least Gingrich is one person in the GOP who is telling the truth about why his fellow Republicans are acting like a bunch of selfish spoiled brats. Millions of immigrants and potential immigrants will be held in limbo because the GOP doesn't like the President! The American people deserve a government better than the ship of fools the Republicans are sailing right now. At this point I would ordinarily tell people to write their congressmen to demand that they do the job for which they were elected, but it is painfully obvious that Republicans only care about their seat, their party, their revenge and maintaining the good old white boy network. Are the Boy Scouts Still Relevant?